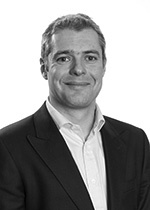 Simon graduated in Medicine and Surgery in 1997 and completed his surgical training in Yorkshire and Australia. In 2009, he was privileged to be selected to spend a year undertaking a shoulder surgery fellowship with Dr Laurent Lafosse in the worlds leading shoulder arthroscopy unit in Annecy, France. This gave him a unique experience in pioneering shoulder surgery techniques for pathologies including rotator cuff tears, shoulder instability (dislocations), sports injuries, impingement pain and shoulder stiffness (frozen shoulder and arthritis). Whilst in France, Simon became the first UK surgeon to perform the complex arthroscopic Latarjet shoulder stabilisation procedure. On his return to the UK, Simon spent a further year in the prestigious Wrightington Upper Limb Unit working with Professor Len Funk, Professor Ian Trail and Mr John Haines. Here he further refined his clinical knowledge and surgical skills. Simon has been a Consultant in Orthopaedics specializing in Shoulder and Elbow surgery since 2010. His NHS practice is based in York and his private practice is based in York and Leeds. Simon has a special interest in soft tissue disorders of the shoulder and elbow. These problems affect a range of people from those who enjoy gardening and walking right up to professional sportsmen and athletes including international rugby union and rugby league players, jockey’s, cyclists and triathletes, motor sports, footballers as well as tennis players and golfers. It is his aim to restore all his patients back to their original activities at the same level as promptly as possible. Simon enjoys most sports and played rugby for 20 years. He now takes part in triathlons and marathons. Mr Simon Boyle does not hold a share or financial interest in this hospital, another Nuffield Health hospital or the company. Mr Simon Boyle does not have a share or financial interest in equipment used at this hospital or another Nuffield Health hospital. Mr Simon Boyle does not hold any paid advisory role(s) at this hospital or on behalf of Nuffield Health.